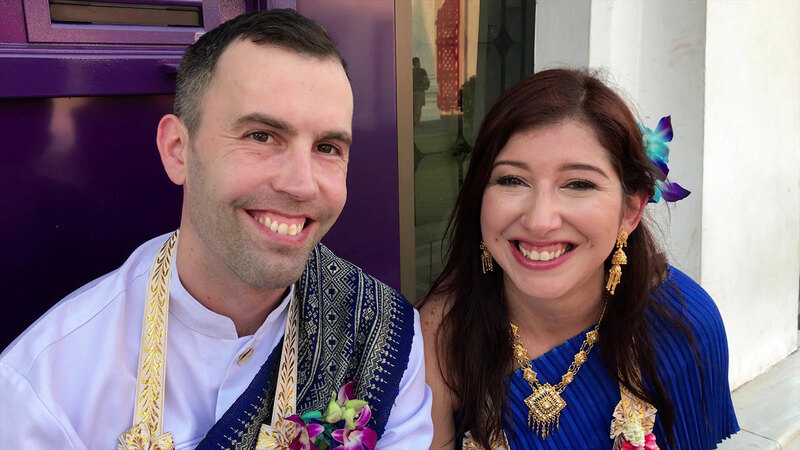 Along with Thai Style Weddings, Non Religious Ceremonies are without doubt the most popular format for the many couples visiting Thailand to get married each year. The main difference between Religious and Non Religious Wedding is that the latter is conducted by a Celebrant, not a Priest or Minister, and there is no mention of God, prayers or the like. 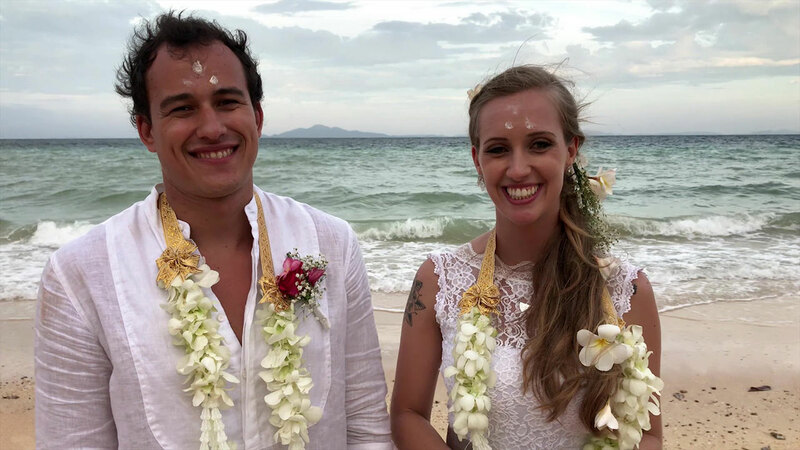 Instead, the Non Religious Wedding Ceremony focuses on what lies at the heart of your relationship and future marriage: your true love and all the experiences that helped bring the two of you together and decide to spend the rest of your lives together as husband and wife. Non Religious or Secular Style Weddings are so popular because they represent the ultimate in personalized weddings. Though we utilize a basic Western Style format similar to what you would see in a movie, they are flexible in so many ways – we can make them simple, extravagant, exotic or somewhere in between, the choice is totally yours. 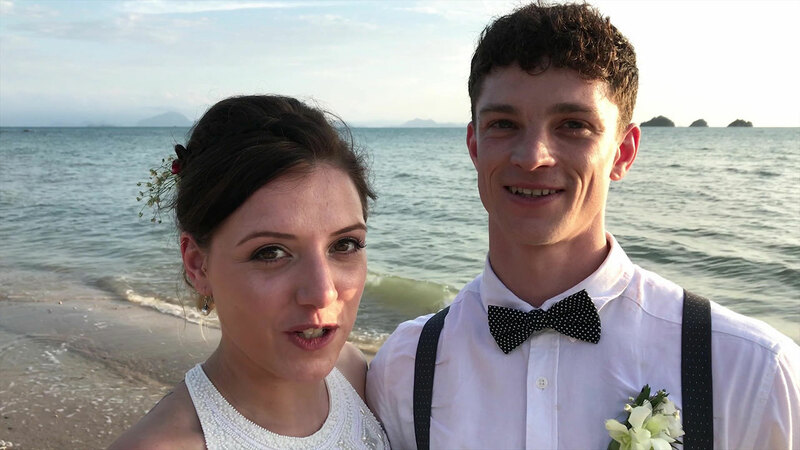 So is the choice of Wedding Venues: on a sandy beach with the turquoise-colored sea lapping nearby; in a fascinating temple or the lush jungle forest next to a waterfall; on a secluded dream island, hilltop or sailboat with mesmerizing ocean views – there is no shortage of picture perfect backdrops for your Non Religious Wedding in Thailand. And we conduct weddings in or nearby all the major tourist destinations here, as well as out-of-the way places, so basically we go where you go! Our Celebrants have their own warm-hearted wordings they use in the ceremonies, but you are also free to adjust this or bring in your own as you desire. Likewise, if you do not want to worry about such things, just leave it in our professional hands so you can focus on each other or family and friends. The Celebrant will lead you through the ceremony step-by-step, so there is very little for you to have to remember or worry about other than showing up, looking your best and hopefully ready to shed a tear or two in happiness. When it comes to set-up, decorations and other options, there is almost unlimited choice as well to help create your special day: flowers, arches, entrance by elephant, Thai dancers, music, floating lanterns, fireworks, legal registrations, you name it, just check out our options page and start making your wedding dream into reality with the help of Thailand Wedding Company ! Three Wedding Balloons for Bride & Groom plus ++ balloons for special guests. Wedding gift for special guests.